As far as my experience goes, it appears to me that believers generally have expected far too little of present fruit upon their labors among children. There has been a hoping that the Lord some day or other would own the instruction which they give to children, and would answer at some time or other, though after many years only, the prayers which they offer up on their behalf. Now, while such passages as Prov. :xxii. 6, Eccl. xi. 1, Gal. vi. 9,1 Cor. xv. 58, give unto us assurance not merely respecting everything which we do for the Lord, in general, but also respecting bringing up children in the fear of the Lord, in particular, that our labor is not in vain in the Lord; yet we have to guard against abusing such passages, by thinking it a matter of little moment whether we see present fruit or not; but, on the contrary, we should give the Lord no rest till we see present fruit, and therefore in persevering yet submissive prayer we should make known our requests unto God. 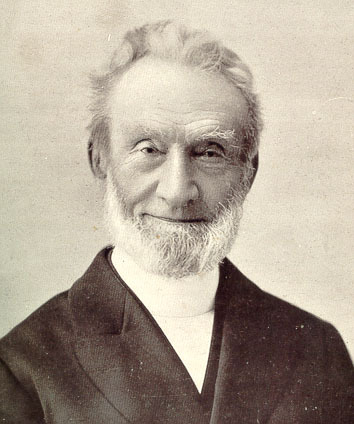 I add, as an encouragement to believers who labor among children, that during the last two years seventeen other young persons or children, trom the age of eleven and a half to seventeen, have been received into fellowship among us, and that I am looking out now for many more to be converted, and that not merely of the orphans, but of the Sunday and day school children. Copied from The Life of Trust by George Muller, pages 210-211.